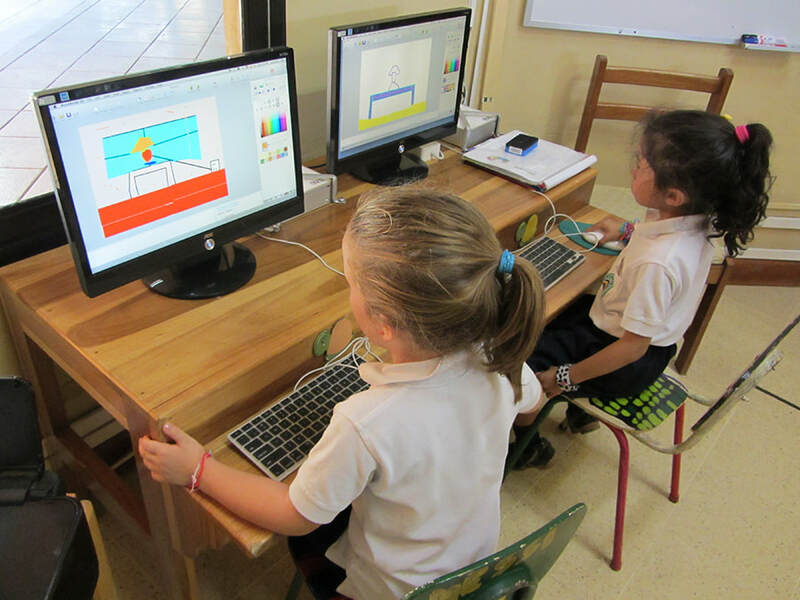 Blue Valley aims to effectively integrate technology to support curricular objectives. As the EdTech digital learning coordinator, I communicate with the homeroom teachers to look for the best resources to incorporate in a selected subject matter. We jointly design the plan for the lesson and then co-teach it. At Blue Valley the Elementary vision for technology in the classroom is to enable our students to master 21st century skills for a constantly changing world. We value respect for others and ourselves as responsible citizens; students at Blue Valley help to maintain a positive environment through problem solving, empathy, and understanding. Keeping with the Blue Valley values; before making a decision when using their device, students are taught to ask themselves: Is this fair? Is this kind? Is this safe? Elementary students at Blue Valley experience hands on technology learning in multiple ways. Students have weekly classes in a lab environment with iMacs; this time is spent learning valuable computer skills as well coding, robotics and digital design. In the homeroom environment students use creative thinking and innovative processes to construct knowledge and develop digital products with iPads. Blue Valley uses gamification of learning as an educational approach to motivate students to learn by using video game design and game elements in learning environments. The goal is to maximize enjoyment and engagement through capturing the interest of learners and inspiring them to continue learning. This self paced environment increase student learning by allowing the lessons taught to be personalized for each individual. 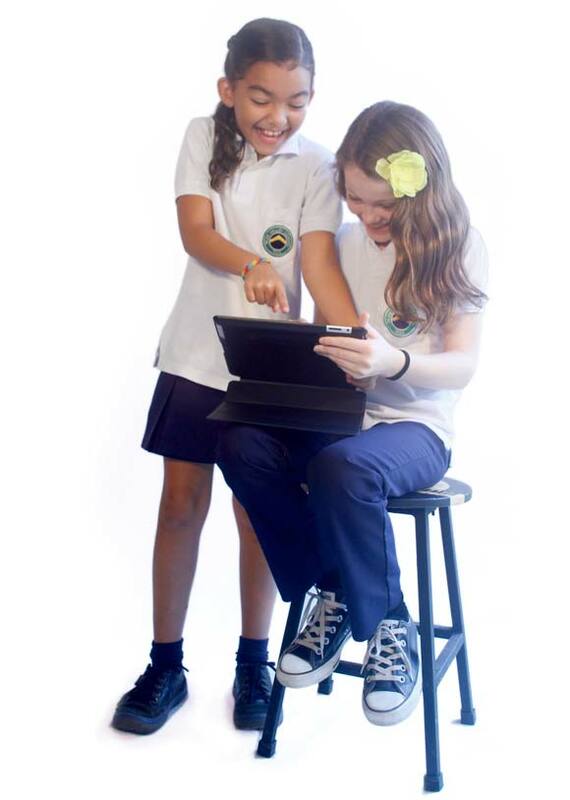 iPad learning is integrated into all subjects including: Science, Social Studies, Literacy, Math, Spanish, Art and Music. Students are assessed based off the ISTE (International Society for Technology in Education).